Raising Hemiplegia Awareness. Uniting and supporting families whilst raising Hemiplegia awareness. HemiChat, a UK Charity raising Hemiplegia awareness! Thank you to the Companies and charities that continue to support HemiChat. To become a supporter please register your interest by clicking the link below. Here are our latest products, we also have lots of lovely bespoke items that are HemiChat branded. From pens and trolley coins to brooches and calendars, we are sure you’ll love everything we have produced. 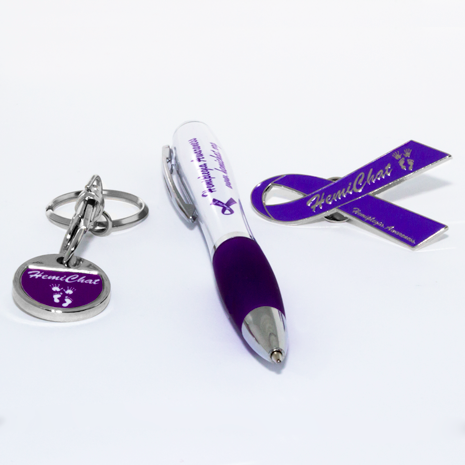 Click the button to view our Hemiplegia Awareness Products. All proceeds go 100% back into the charity to enable us to create more wonderful products. 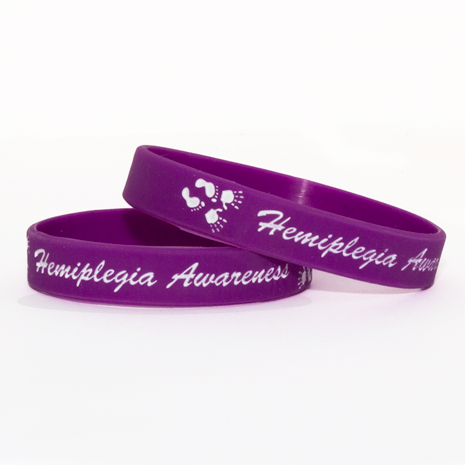 Show your support of Hemiplegia Awareness with our brand new Stroke Purple wrist bands available in 2 sizes. These beautiful metal pin badges complement our merchandise beautifully. Wear one to show your support of Hemiplegia Awareness. A pen, a trolley coin, and a pin badge. 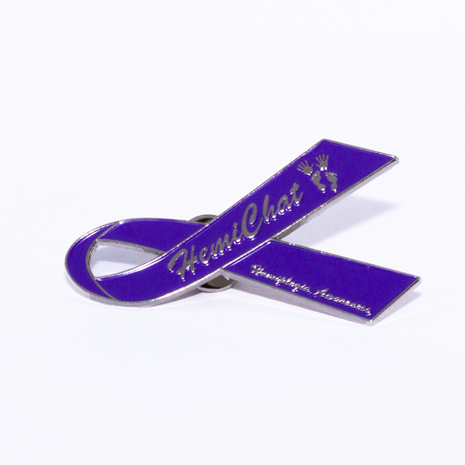 Fly the colours of HemiChat with this stylish trio while raising awareness of hemiplegia. Please support HemiChat and help us unite more families whilst raising hemiplegia awareness. Click the Just Giving logo on the left or visit https://www.justgiving.com/hemichat . If you would like to donate via SMS just send a message to 70070 with HEMI00 and £(1,2 3,5 or 10). Hope & Henry are HemiChat’s mascots. Hope & Henry come to visit complete with leg splint, wheelchair, cast and crutches. They are able to attend hospital visits to comfort children or to attend schools as a tool to help children explain more about Hemiplegia.